Unlike the european dragons Korean dragons are more of a passive benevolent being known to bring rain and clouds. Imugi's are lesser dragons which closer resemble gigantic serpents. Imugi's aspire to become full-fledged dragons but in Korean folklore there are various ways they can move up. 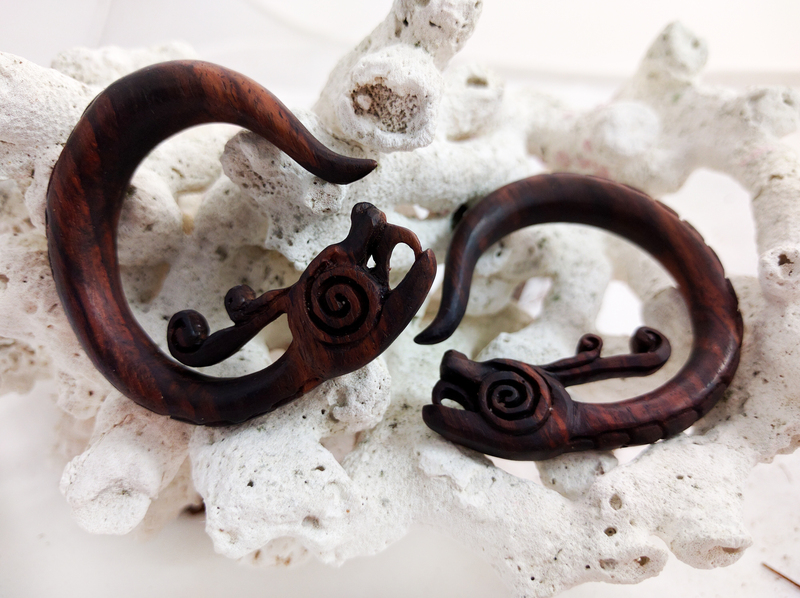 We kept the dragons design to a simple circular hoop design so you can see the natural beauty of the sono wood. 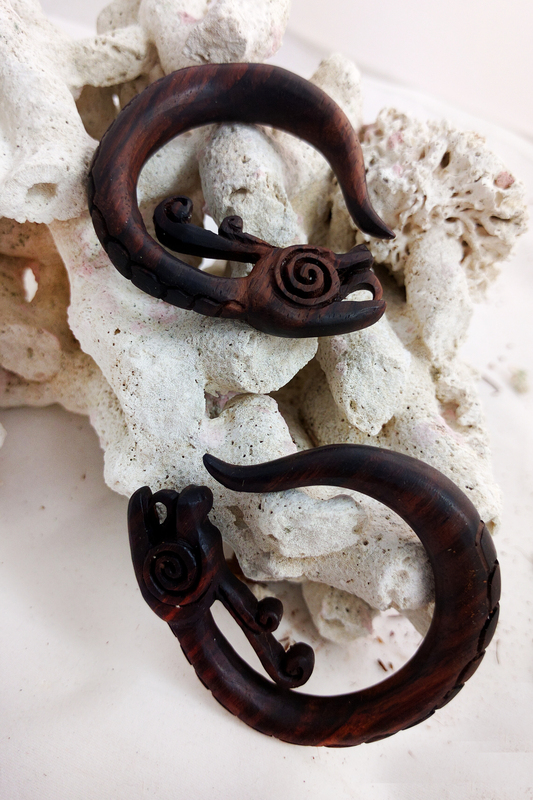 These dragon hangers are sold as a pair of earring gauge plugs. 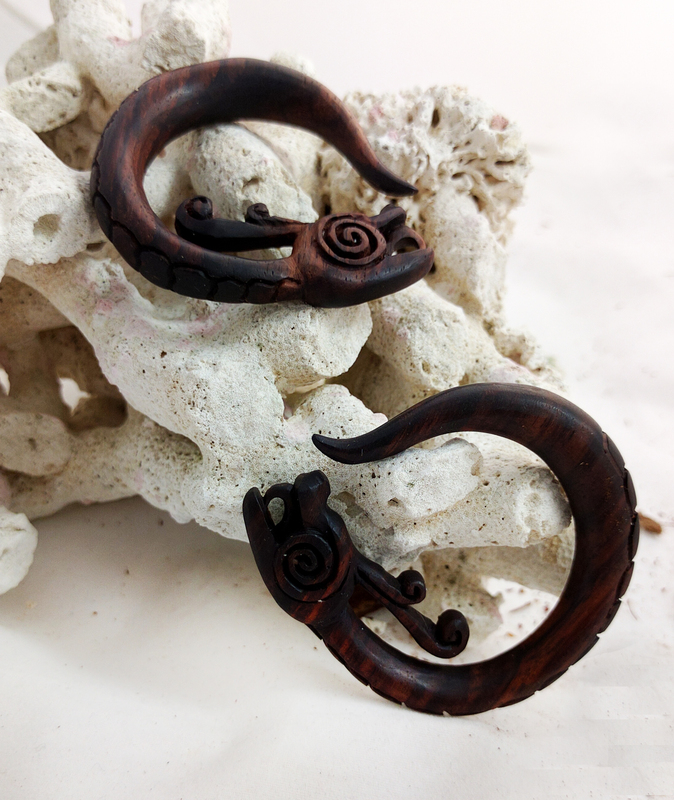 For sizing we try to carry a wide selection of sizes for our gauged earrings, but if you don't see your size listed please feel free to contact us or check back later since we're constantly restocking or adding new sizes and styles to our line. Copyright © 2014 Little Monster Holdings All Rights Reserved.